Something has gone missing from the syrup flavoring at Starbucks. The artificial coloring is gone. 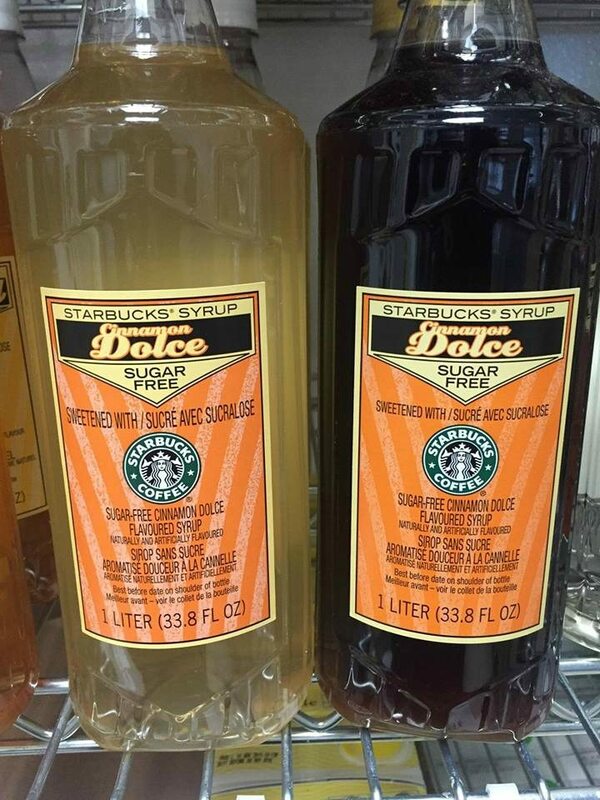 Starbucks has reformulated their syrups, removing artificial coloring. Other seasonal syrups may be available as well, such Peach or Mango. Of course, this means that you can say goodbye to pretty pink colored whipped cream. Since the newest bottles of Raspberry syrup will be clear, not a red-tone, there won’t be anyway to make a pink whipped cream anymore. Well-loved Frappuccinos, like the Cotton Candy Frappuccino and the Birthday Cake Frappuccino won’t have their distinctive pink color. I bet the only group of customers who will notice the change will be the fans of the The Cotton Candy Frappuccino: It won’t look like cotton candy anymore – might taste like it, but won’t look like it. Good bye artificial coloring! Goodbye to the Cotton Candy Frappuccino, as we know it in all its pink glory. Starbucks is removing the artificial coloring and that’s good. But their raspberry syrup still has artificial flavorings. I’m thinking that if they used all natural raspberry in the syrup it would have a raspberry color. I have a black raspberry syrup that is not a Starbucks product and has no artificial coloring or flavoring. It’s very dark purple in color and is great for coloring whipped crème, delicious on pancakes, and whatever else I want to use it for. If Starbucks uses natural ingredients the color will be there. I forsee quite a few baristas dealing with upset teenagers in the near future. Well I for one am peeved. I need pink in my life. I had the raspberry syrup with no food coloring at Starbucks and it doesn’t taste the same sadly ! :/ The drink tastes like they added a scoop of sugar instead. Very disappointing. Not a fan of the new flavoring at all. It definitely tastes different and is not nearly as good! Also, I order “Italian Sodas” all the time which is just flavoring with some of their sparkling water and half and half. There have been studies that show that color affects taste perception and I have to say a white drink is definitely not as fun as a pink one. The raspberry syrup needs to be pink! The color is half the reason I get anything with raspberry! If they don’t want to use artificial color, they could use beet juice for the color or – here’s a wild idea – use actual raspberries when making it! The flavoring is terrible I do not like it. I used to go to Starbucks daily but I won’t be going any longer. I agree with Carol. The new raspberry syrup is bad. I find it disgusting and undrinkable. It tastes like it’s been cut with mineral oil or weak Karo syrup. There’s almost no raspberry flavor at all. It’s actually SLIMY. Their original raspberry syrup was best: simple, it allowed the coffe’s complex flavors to sneak through. The juicy raspberry was not bad, but overcomplicated. It hid the flavor of the coffee beneath. 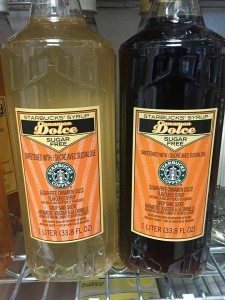 The clear syrup is so nasty I’m going to throw away a full bottle of the stuff I bought yesterday and quit buying other Starbucks syrups as well. Can anyone recommend an alternative brand of syrups, especially raspberry? Torani doesn’t mix well with cream, I’ve found. Love raspberry Italian cream sodas! I was shocked when they handed me a white drink. Still tastes the same. True we eat with our eyes but #40 makes a lot of people wacky, ( my son) and I am thrilled they are taking a step in the right direction. For all the people saying that it doesn’t taste the same; that’s in your head. My fiancé brought me a raspberry coffee frappuccino yesterday, and when I tasted it, I asked why it tasted like the raspberry coffee, but it wasn’t pink. He said they removed the coloring. Before I KNEW that the coloring was gone, it tasted exactly the same. Now you taste it with caution because you expected it to be pink, and when it wasn’t, you thought it was weird. It tastes exactly the same. It tastes exactly the same. Pink or not. They will lose some business I’m sure since alot of their syrups are ‘clear’ now! I’m a BIG FAN of the ‘Cotton Candy’. And in the past when I got my PINK Cotton Candy frappuchinos, people (young AND old) would stop me everywhere and ask what drink it was because it looked REALLY GOOD to them and they wanted to order it when they went to Starbucks. That’s exactly the way ‘I’ got hooked…..by seeing others holding this PINK eye opening yummy looking drink! Now, it looks like a plain ‘Vanilla Bean’ frappuchino and NOBODY even gives it a second look now. Oh well !! Bad move to remove the flavor jn the vanilla surup. My vanilla flat white just tastes sweet…. no Vanilla flavor. Add more real vanilla flavoring quickly or 8 hqve to go elsewhere! @Phillip Reid – I’m just curious if you’ve stumbled upon a store that is testing the syrup extracts, and not the standard syrups?? It is kind of like the flavor being taken out, but it’s actually the sugar that is reduced (depending on how you ordered it or got it). It’s a multi-city test from what I know, and something that’s on my radar to write about very soon. Doesn’t taste the same since they “simplified” their ingredients. Dear health nuts and organic-products consumers, STOP RUINING OUR STARBUCKS DRINKS WITH YOUR DEMANDS!